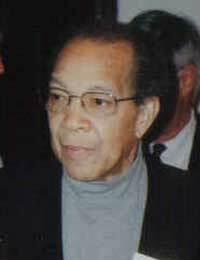 CBS News reports that HAL WALKER, the first Black CBS correspondant died of prostate cancer today. He was 70. Hal was at Thurmont this year and was his usual warm and friendly self. One of the most outstanding shows that Hal did when he was at WTOP-TV was the ground-breaking race relations documentary, "Dialogue with Whitey." It was a production that featured three of the old WTOP-TV's best, Hal Walker, Don Harris and Jack Jurey. "........................... one of his first assignments (for CBS) was covering the funeral of Sen. Robert F. Kennedy (D-N.Y.). He also handled some White House coverage before becoming a foreign correspondent in 1977, when he was assigned to the bureau in Bonn. He joined ABC in Bonn in 1980, later becoming Frankfurt bureau chief. Other stories to which he contributed included the Pan Am Flight 103 disaster and the fall of communism in Eastern Europe. He broadcast early morning business reports from London before he retired in 1995. Jerry King, a retired White House reporter for ABC News, said Walker was a skilled beat reporter who did not rely on others to do his legwork. He also was uncharacteristically polite in a cutthroat business, Mr. King said. Both attributes, he said, were in evidence in 1981 after the Iranian-held American hostages had been released. Mr. Walker got a tip that one of the former hostages had sneaked out of a military hospital in Germany to visit his family near Frankfurt. Mr. Walker tracked him down and interviewed the man in his doorway, avoiding the military minders who worked to control the flow of information. Mr. Walker then apologized to Mr. King, who had been covering the hostage crisis, when his interview received more-prominent airplay that night. Harold William Walker was born in Darlington, S.C., and raised in New York by his mother, a domestic worker. After graduating from Denison University in Ohio in 1954, he served four years in the Army. He was doing public relations work for the New York state mental health department in Albany when a reporter friend told him that television stations were looking for minority journalists. He began working at WTOP, where he became a mentor to Max Robinson, then a production trainee. In 1978, Mr. Robinson became the first black news anchor of a network television news program when he was named as co-anchor of ABC-TV's "World News Tonight."